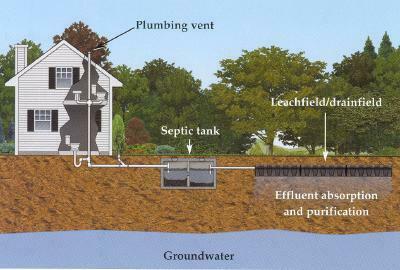 All water in a house (that is on a septic system) flows to the septic tank. Here in the tank, the bacteria treats the water and holds the water as it slowly drains to the leachfield. This draining process is a fairly slow one. A septic tank is almost always full of water and must be that way to function properly. The only time a septic tank might not be full is after a routine septic tank pumping. After a tank is pumped it takes about 3-4 days for the tank to fill back up again assuming all regular house hold activities are taking place. WHY DO YOU NEED TO HAVE YOUR SEPTIC TANK PUMPED? It is recommended that you have your septic tank pumped every 3-5 years based on the activity level of your home. The reason for this is due to the sludge buildup at the bottom of your tank. The more water users in the home, the faster this sludge layer can build up therefore the more often you will need to have your septic tank pumped. (Typically if you have four or more people living in the home, you should have your tank pumped every 3 years where as if there are just two people living in the home you can wait and pump every 5 years). 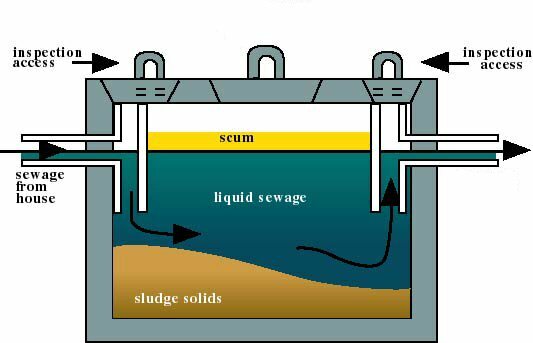 Above is a diagram of a septic tank. You’ll notice the incoming and outgoing openings. Also notice the scum and sludge layers. The scum layer holds the “good” bacteria that helps breakdown all the nasty stuff that isn’t good for the environment before releasing the wastewater out to the drainfield. The sludge layer is the accumulation of solid matter that comes from the house over time. Every time you flush your toilet your use your garbage disposal, the solids that come from the house eventually collect at the bottom of the tank. The reason you pump your septic tank is to clean this sludge layer out. As stated above, your septic tank is always full of water and needs to be full of water to function properly, so you don’t have your septic tank pumped because it is full of water, but to clean out the sludge. If this sludge layer is not cleaned out regularlyit can build up over time and drain out to the lateral or leachfield. If this happens, the leachfield will become clogged and will not be able to function properly and will eventually need to be replaced. WHAT IS MY LATERAL FIELD / LEACHFIELD / DRAINFIELD? The pictures above are of an exposed lateral field (aka leachfield/drainfield). This is where all the wastewater from your house eventually ends up. Here, the water either evaporates into the the air or becomes absorbed into the ground. This is also the MOST EXPENSIVE part of your system. You’ll notice that the laterals are made of a strong plastic-type material, but this material can not withstand the weight of heavy equipment such as a car, truck or farm vehicle. It is very important that you always know where your lateral field is located so that it can stay open and protected from being crushed. Lawn mowers do not hurt this area, but larger vehicles or livestock can. If your lateral becomes crushed it will not function properly. Signs of partial crushing include pooling of wastewater in the area that was crushed. This will more than likely be water that has a foul odor as it just came from your septic tank before pooling on top of the injured lateral. Other issues that can cause lateral not to function properly is if it is exposed to water regularly. This is an area that needs to remain as dry as possible, so sprinkler systems need to be kept at a distance. If you can think of your laterals as being a sponge for your water, imagine how well a wet sponge will act if you continually send water out to it – there comes a point when the sponge is no longer able to absorb water. Your laterals act in much the same way – if they are to take on water regularly they need to remain as dry as possible. Constant watering of this area or sprinkler systems placed too closely to this area will not allow your laterals to function properly. WHAT CAN I PLANT OVER MY LATERAL FIELD? You should not wait until the wastewater ponds in your yard or backs up into your house. At that point you will not only need the system pumped, but you may also have other costly repairs to do. 2 Have your system pumped by a reputable person. Pump wastewater through the manhole or access port, not the 4-inch inspection pipe. The 4-inch pipe is too small for anyone to see if the tank is sufficiently cleaned, or if there are any problems. Backflush wastewater into the tank to loosen up materials, and then pump it again. Although this takes longer, it ensures that the tank is adequately pumped. Spend time checking if the baffles or tees are in place and in working condition. 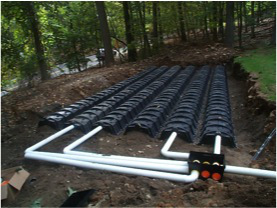 These are necessary to prevent your drainfield from clogging. Dispose of your septage from your septic system in a legal manner. This may be at the local wastewater treatment plant, or else through proper land application. Spread out your water usage.Try to do a load of laundry a day, rather than five loads on Saturday morning. Install water conserving fixtures and appliances when you can. Check for and repair leaks in your plumbing system. Encourage family members to take short showers, and turn off the faucet while brushing teeth. 4 Think about what you flush down the toilet or drain. Is the septic system the best way to dispose of those materials you want to get rid of? Septic systems cannot handle cigarettes, diapers, feminine products, or even facial tissue. Garbage disposals grind up food products that might be better handled in a compost pile. A garbage disposal puts a great strain on the septic system. The increase in solid materials and water means you must have a large tank, or you must pump it more frequently. Grease and oils from cooking, frying, and even skin lotions will increase the scum layer in your septic tank. This may necessitate more frequent pumping. Unwanted pesticides, cleaning products or other chemicals should not be dumped down the drain. Check to see if your area has a household hazardous waste collection site to ensure that these materials are safely disposed of. Don’t overuse cleaning chemicals, including bleaches and drain cleaners. A septic system can handle normal amounts. Avoid using automatic toilet cleaning dispensers that release bleach with every flush. This is hard on the rubber parts and seals in the toilet, and hard on the bacteria in the septic tank that break down waste. Additives or feeders are not necessary to keep your septic tank working. In some cases, additives may keep materials suspended in the water and allow them to flow out to the drainfield, increasing the potential for clogging. Certain brands of toilet tissue do not breakdown as readily in the septic tank. Use of these products may require more frequent pumping. Divert water from roofs, downspouts or any other surface water away from your drainfield. Do not let anyone drive any vehicles over your drainfield, especially if the soil is wet. This will compact the soil, and the drainfield will not be able to treat the wastewater. Do not site dog kennels or other animal confinement units over the drainfield. Hooved animals should not be allowed to paddock over drainfield areas. 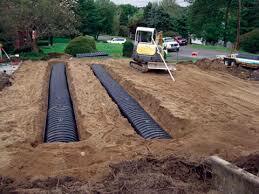 Do not construct anything – driveways, parking lots, patios, or buildings, over the septic tank or drainfield. 6 Keep detailed records of repairs, pumping and other maintenance activities. Note: The following tips were developed by the On-site Wastewater System Task Force, with members from the University of Nebraska Cooperative Extension, Conservation and Survey, Nebraska Department of Environmental Quality, Lincoln-Lancaster County Health Department, Sarpy County Planning and Building Department, Douglas County Health Department, and Nebraska Department of Health and Human Services.